Please note the 8:00 pm start time for this event. 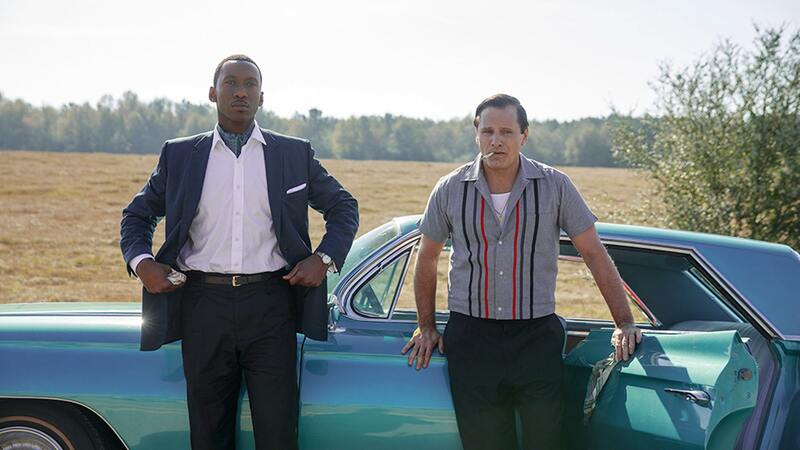 Two men, both accomplished and self-possessed in very different ways, are at the center of Green Book, winner of the Toronto International Film Festival People’s Choice Award. One of them, Tony Lip (Viggo Mortensen), is an outgoing, newly employed nightclub bouncer. The other – withdrawn, brilliant and uninterested in anything outside of his pursuits – is touring pianist Dr. Don Shirley (Mahershala Ali). Peter Farrelly (yes, that Peter Farrelly, the co-director of There’s Something About Mary and Dumb and Dumber) is at the helm of this historical drama. Though there’s nothing farcical about the film, its real-life situation is plenty absurd. Tony and Don are thrown together when the former is hired as Dr. Shirley’s driver for a tour of the South. Racism is rampant and unchecked, and the costs are high for them both. The title Green Book refers to the manual that informed black travelers which hotels in the South were safe and allowed people of color to stay.